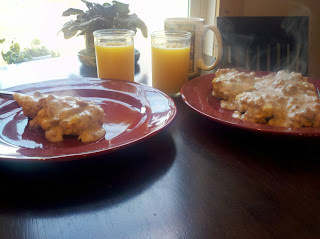 We work hard and eat well. 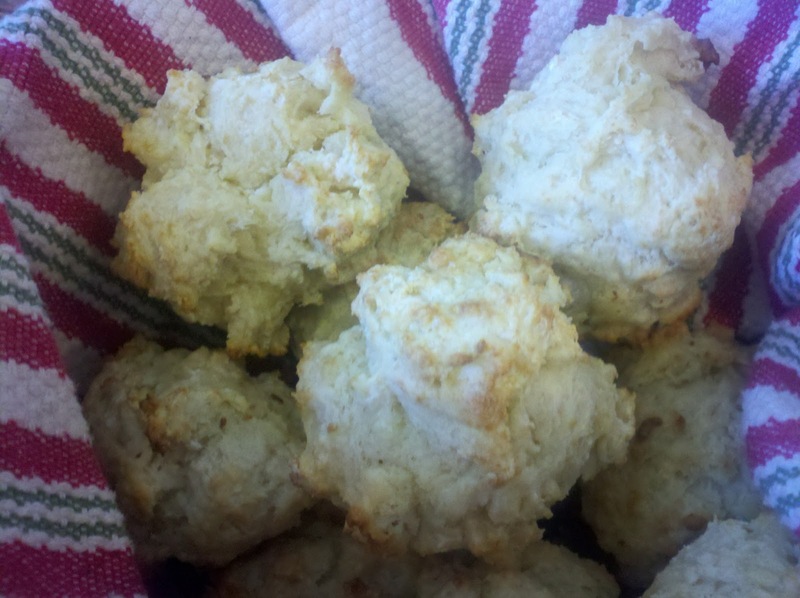 It probably comes as no surprise that we are biscuit lovers, they're a part of many hearty meals served here on the farm. 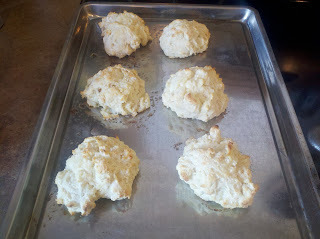 If you have not tasted or made biscuits from scratch, I highly recommend you try them. Besides being extremely simple to make..the taste and texture is delicious and by far beats them whop on the counter style biscuits. Once you start making them, nothing else will do. And like I said..they're easy! We love the basic biscuits but I've used all sorts of variations..adding shredded cheese to the biscuit mix and topping with butter, parsley & garlic is also one of our favorites. 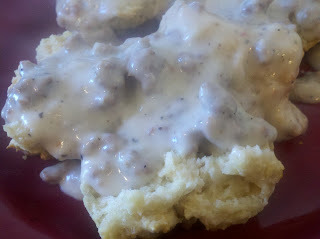 homemade biscuits and sausage gravy - can you guess which plate belongs to my cowboy?